A world of scents. At COSMANIA, you can discover worldly scents for him and her from the best perfumers on earth! We have wonderful perfumes from fragrance houses that give their ‘noses’ free rein to develop original scents with the most special ingredients. Unique aromas for special people! For example, discover the scents of Costume National, Goldfield & Banks, Brecourt, Frapin, Miller & Bertaux, Olfactive Studio, Agonist and many others. Fragrances that have true fragrance lovers swooning. 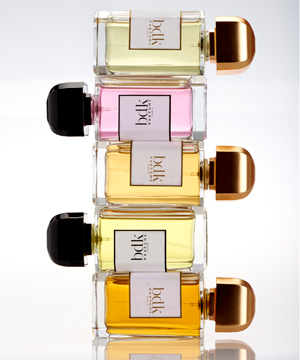 Come and discover this collection by BDK Parfums at COSMANIA! Every perfume tells a story. For example 'Pas ce Soir', a perfume in which ginger and mandarin meet with Moroccan jasmine, orange blossom and amber: a chic lady visits a cabaret show, drinks whiskey and later in the evening dances on her own.